75018-PB is rated 5.0 out of 5 by 8. 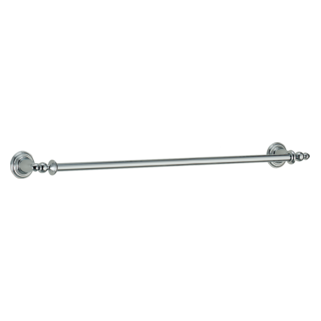 Complete the look of your bath with this Victorian 18" Towel Bar. Delta makes installation a breeze for the weekend DIYer by including all mounting hardware and easy-to-understand installation instructions. You can install with confidence, knowing that Delta backs its bath hardware with a Lifetime Limited Warranty. Rated 5 out of 5 by W A from Estimator Fine product. It matches the bronze delta faucets. 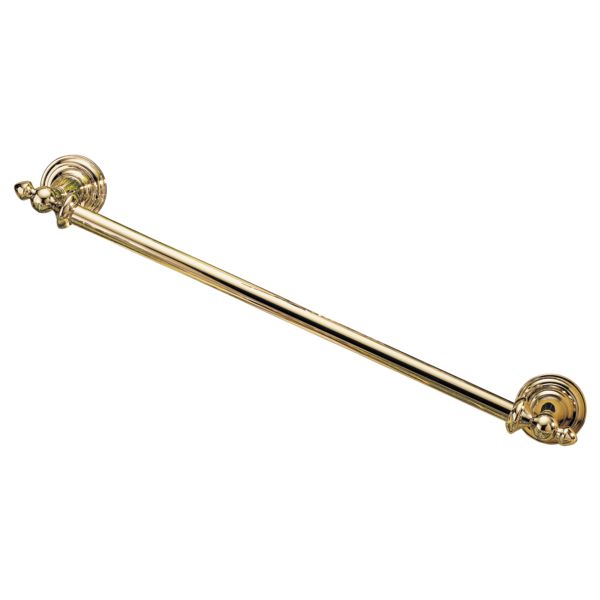 Rated 5 out of 5 by boopers from Excellent buy The Victorian towel bar is of high quality and looks very nice in my renovated bath. Rated 5 out of 5 by DemoMom from Cute Little Towel Rod Purchased this at the same time I purchased coordinating toilet paper holder and faucet. Looks great in, easy install. Love the little details. Rated 5 out of 5 by CARZY from VERY HAPPY! 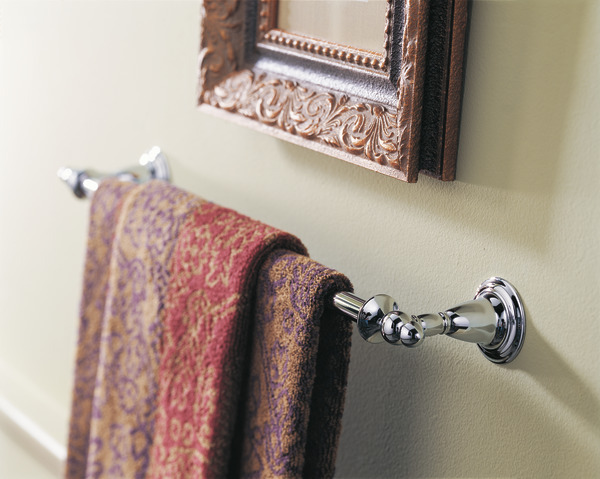 THE TOWEL BAR IS LOVELY. MY ONLY REGRET IS THAT IT WAS UNAVAILABLE IN THE BRUSHED NICKEL. Rated 5 out of 5 by HAZE from GREAT PRODUCT, PRICE & SERVICE Lowest price found. Prompt delivery. Well done! Rated 5 out of 5 by fallstonchris from great product very nice product and easy to install. no problems at all. We lost the mounting brackets while remodeling. Can we have them replaced? I need to replace the items in red, is this part available? I have lost one of the end caps off this towel rack. Do you have a replacement end cap? I purchase my home a year ago, built in 2005. I wanted to add an additional matching towel bar in one of the bathrooms. I have found that all the bathroom fixtures and accessories match the Delta Victorian series. However, all mine appear to be pearl nickel. I am having great difficulty finding this product in that finish. Does it still exist anywhere? Thank you for your question. 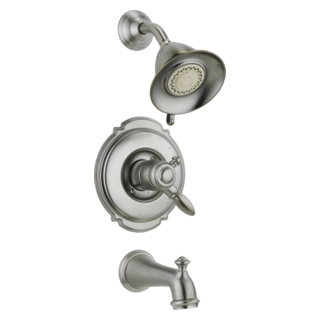 The finish Pearl Nickel is obsolete for Delta Faucet model 75018. 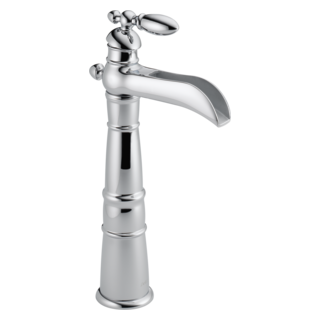 This model is available in Champagne Bronze, Chrome, Polished Brass, Venetian Bronze, and Stainless Steel.